A giant yield with a deadly punch, cash cropper style plant here, and all the way through selecting the females in the CTF (Cherry Thunderfuck) line I always selected for the Matanuska Valley Thunderfuck (MVTF) expressions, as I possessed this original clone way back when. 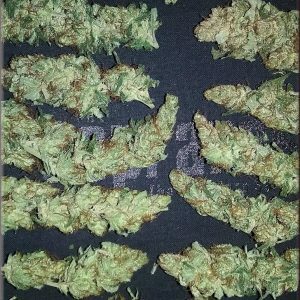 What can I say about this one except super easy to grow, not fussy at all about anything, a huge yielding hash-hard bud, producing massive resin with a distinctive MVTF slant to it. 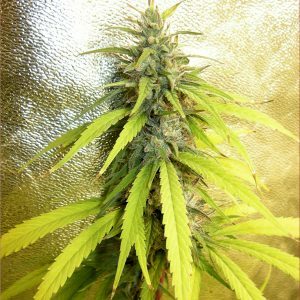 The lemony mango sickeningly sweet flavors are really brought out huge with a two-week cure. 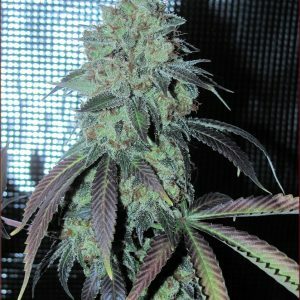 She has excellent bag appeal and just beautiful huge buds. 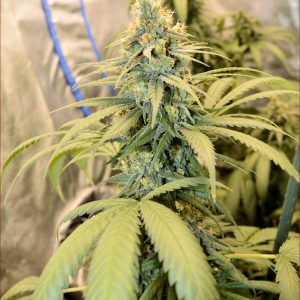 The Dark Matter paternal breeding parent (male) was also one of mine I have been working for years now, the Rusty Haze, which consists of Skunk #1/Bubblegum (male) x Metal Haze. 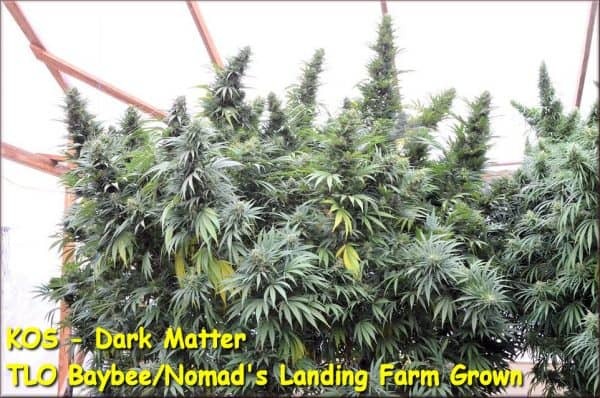 So, as you can extrapolate this lovely variety is truly worthy and she performs perfect indoors with regards to height and stretch and is a monster outdoors. Also, must add here that this has become one of my all-time favorite plants to make hash (dry CO2 sifted) from. I normally keep the top half of the plant (flowers) and use the bottom half (flowers) to make hash with. The hash is superior in its’ properties across the board. Great long legs, very intense, and the hash remains in a semi-gooey state, very malleable without coming apart, which is primo! A must try if you are able. Please do not sprout these on a 24/0 photoperiod and KOS recommends a photoperiod of 16/8 for sprouting and until 30 days old Never use a 24/0 photoperiod. 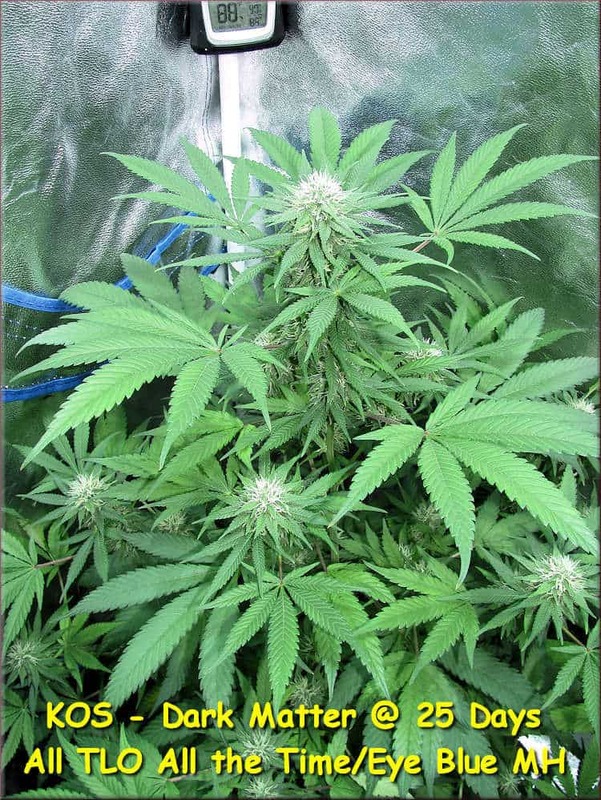 Always allow plants (or clones of plants; and clones are the same age that the seed plant would be no matter how many clones of clones) to get at least 60 days old from sprouting, before starting to flower for maximum resin production. 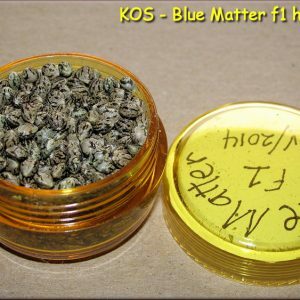 KOS always recommends organically growing our gear for the full appreciation of smells and flavors. 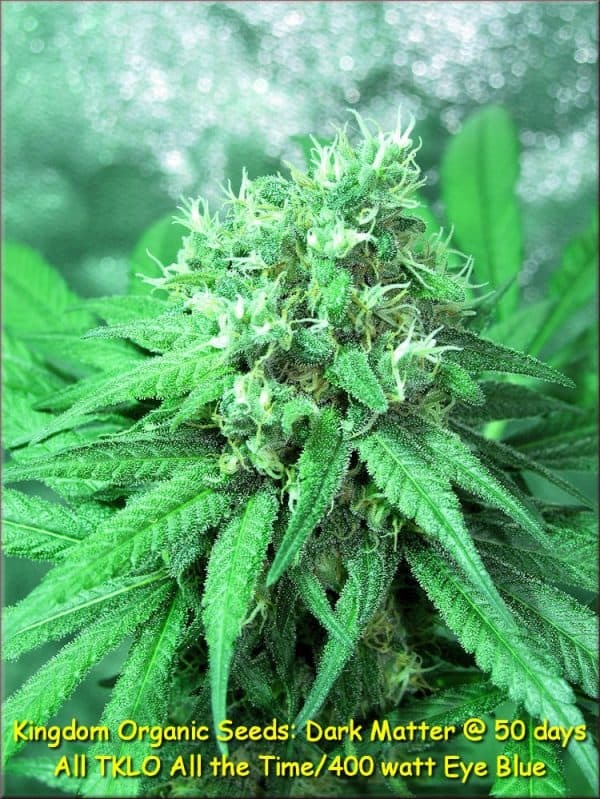 She’s a snap to grow, a dream really, easy to clone, easy to grow, hearty and vigorous. The smells and flavors are truly unique and strong; as you will see. 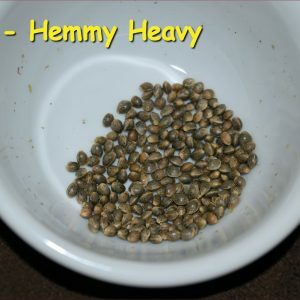 This variety is highly likely in my experience to stay mostly blended in the offspring even in the f2s; however, some will tend to recombine more towards either the Rusty Haze or the Cherry Thunderfuck and in either case you’re a big winner since both P1s are outstanding. These f2s were made using two stinky healthy individual female resin bombs and a super hearty and vigorous male.